I have started my pig project! I decided to go with the American Guinea Hog for my pork needs! I am first of all, infatuated with the little guys as gentle farm animals. That fits right with my program. 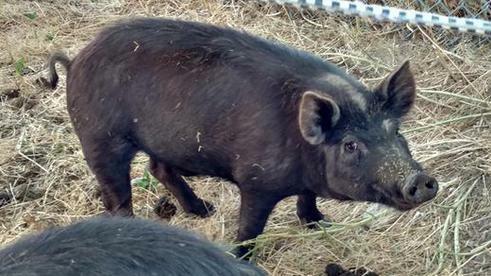 I also chose them because they are a pasture pig that isn't raised on grain, making them a healthier alternative to traditionally raised commercial pork. My husband has had quadruple bypass surgery and will soon have his gall bladder removed, so the benefits of non grain fed really appeal to us! The cuts will automatically be portion controlled! Their smaller size suits me on several levels, I can easily handle them myself, they don't take up too much room, not so much meat that can get freezer burnt if it's not eaten within a reasonable amount of time, meaning a fresh supply! 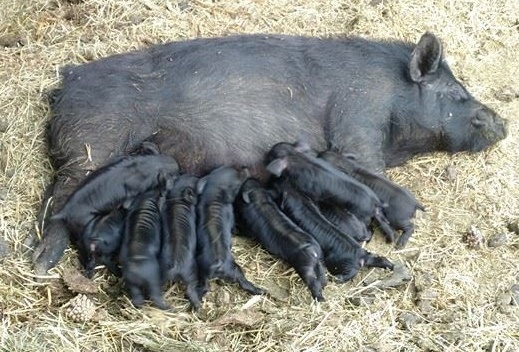 When it comes time to market them, I wont have to find 2 buyers before processing, because most buyers only want 1/2 a pig! 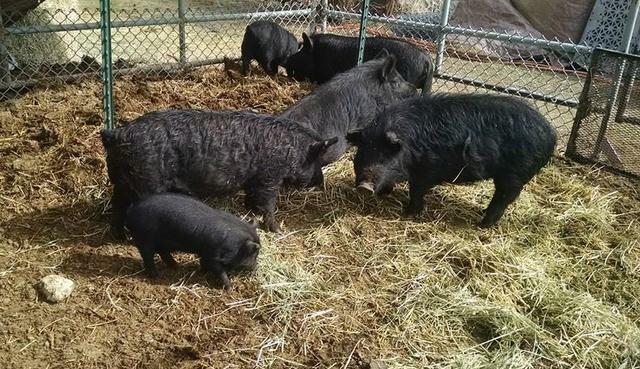 One AGH will yield approximately the same as 1/2 of a typical commercial hog. 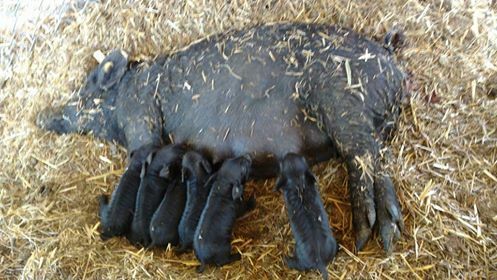 I will offer limited weaner and feeder pigs for those who want to raise their own, and will raise some to butcher size for those who cannot raise their own but want naturally raised meat on their table. 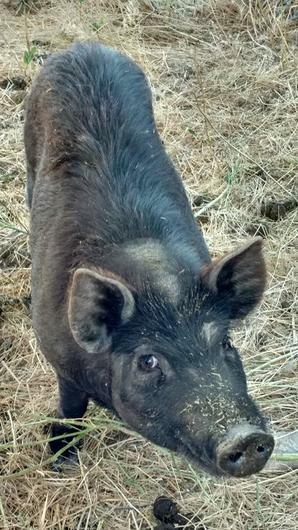 Since I am just getting started, I will have a very limited number of weaners available fall of 2016. I won't have any butcher ready pigs to sell until summer of 2017. Annabelle had 6 babies in her 1st litter! Izabelle had 4 babies in her first litter. But wait! huh? Oh ya, she's baby sitting for Annabelle! They are sharing duties! 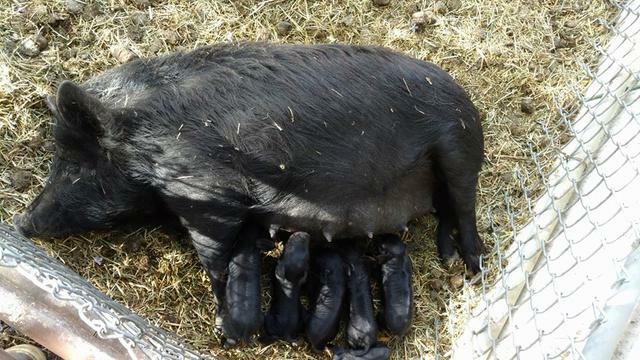 Clarabelle had 7 babies in her first litter! 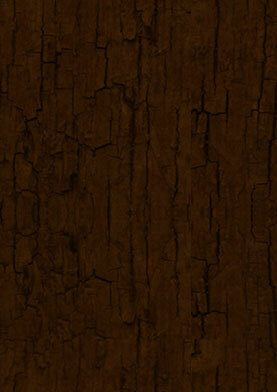 This is Forest. And as you can tell he is a "ham" (uncured!) 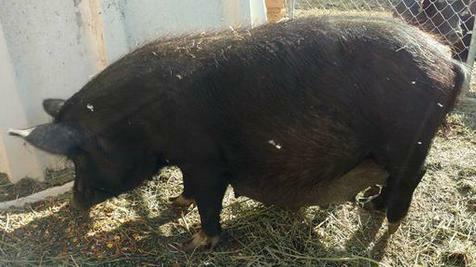 He is my senior boar. 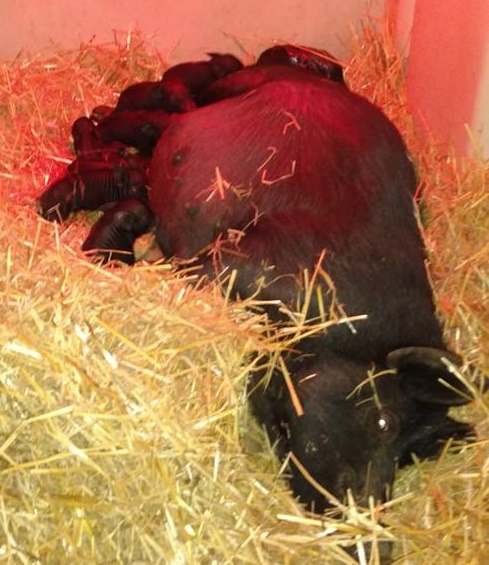 Jezabelle had 10 babies in her first litter! Include Facebook or legitimate phone# in your e-mail. I'm tired of spammers!